I love cookies baking. 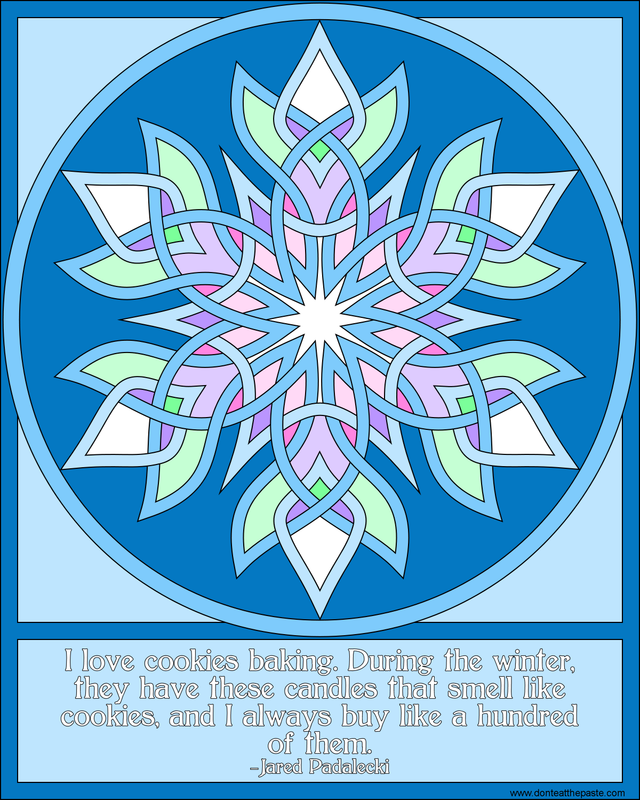 During the winter, they have these candles that smell like cookies, and I always buy like a hundred of them. doesn't actually have much to do with the art. It's a stretch- snowflake, winter. But it was good enough to be a good excuse to use a quote about cookies. So here's the news- Don't Eat the Paste has had over 5,000,000 page views, and there are a few giveaways planned. The first will be starting soon, and I'll be giving 3 readers a copy of one of my favorite books from last year- Snowflakes, Sunbursts and Stars. It's a collection of origami and kirigami projects to paper craft snowflakes, sunbursts and stars shape. Now two copies I'll give away here. The 3rd I'll be giving away on my Facebook page! So go like the page if you want a chance to win there. When I send them, they will include some Alaskan postcards, a touristy plastic Alaskan key ring and one of my Don't Eat the Paste wooden coins that say "Ubicumque homo est, ibi benefici locus est" around the edge. It means "Wherever there is a human being, there is an opportunity for kindness." 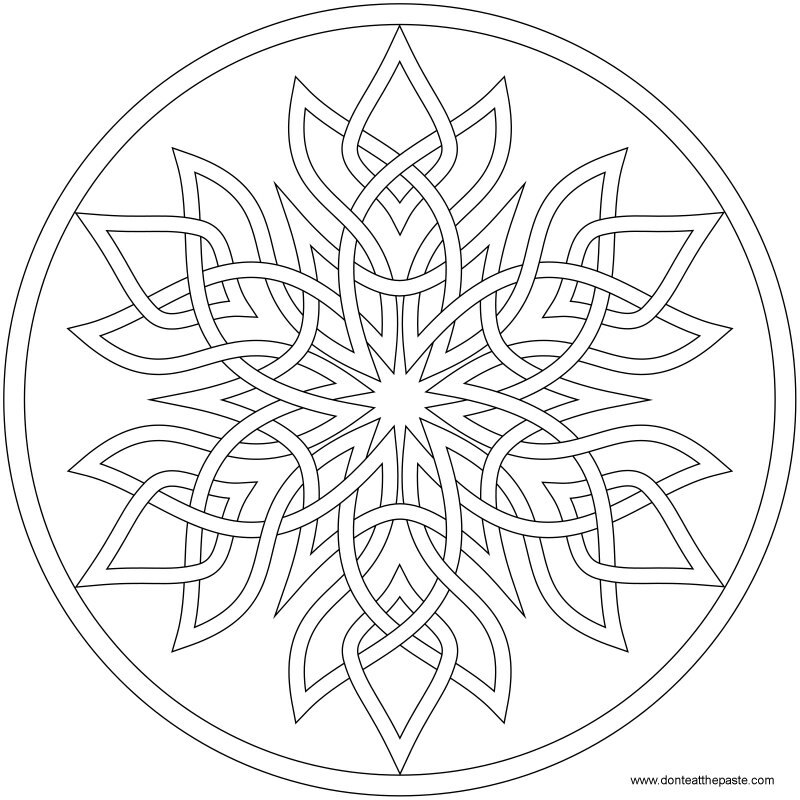 But before that, it has snowed here, so here's a snowflake to color! Click on the image for a larger version.